On Christmas Eve 2011, I was laid off as a seasonal sales assistant at HMV. I’d been employed just a few weeks before for the Christmas rush at the chain’s flagship Oxford Circus store, and expected to work until January or beyond. But in December 2011 the company reported losses of £40 million, and ‘extra capacity’ was now considered superfluous. As a ‘special’ gesture, the manager told me, I could work until 31 December. Other casuals – many were migrant workers hoping for a permanent post – got no notice at all: a young Frenchwoman was told she could take an ‘extended holiday’ from the following day. In January 2013 the company went into administration. The Oxford Circus store – at 60,000 square feet, the largest music shop in the world – closed a year later, but the company found its feet again before calling in administrators for a second time on 27 December 2018. Its talk of the ‘ongoing wave of digital disruption sweeping across the entertainment industry’ is a familiar spiel. Up to 85,000 jobs disappeared from Britain’s high streets in the first nine months of 2018; the British Retail Consortium said there had been ‘a long-term decline in footfall as consumers shop online’. 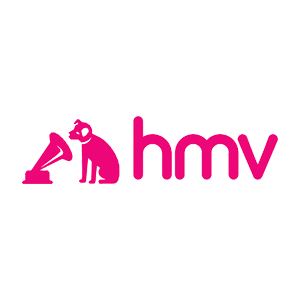 HMV’s current owner, Hilco Capital, said last week that it had ‘expended considerable efforts in ensuring the continuance of HMV as a business’.